Do you let your child wear slogan T shirts? I can take or leave them – never been a big fan of the ones that say Here Comes Trouble but I like the ones that proclaim GEEK in massive, nothing-to-be-ashamed-of letters. None of which are something I’d want my son to advertise on his chest. What I just don’t get is how something like this can make it as far as a shop’s floor. Like Asda’s ‘Mental Patient’ costume or Tesco’s Inflatable Gay Best Friend, it won’t have been just one person’s decision to put this on sale. It’s not like somebody had a slip of the fingers and – whoops – something incredibly offensive goes on sale. 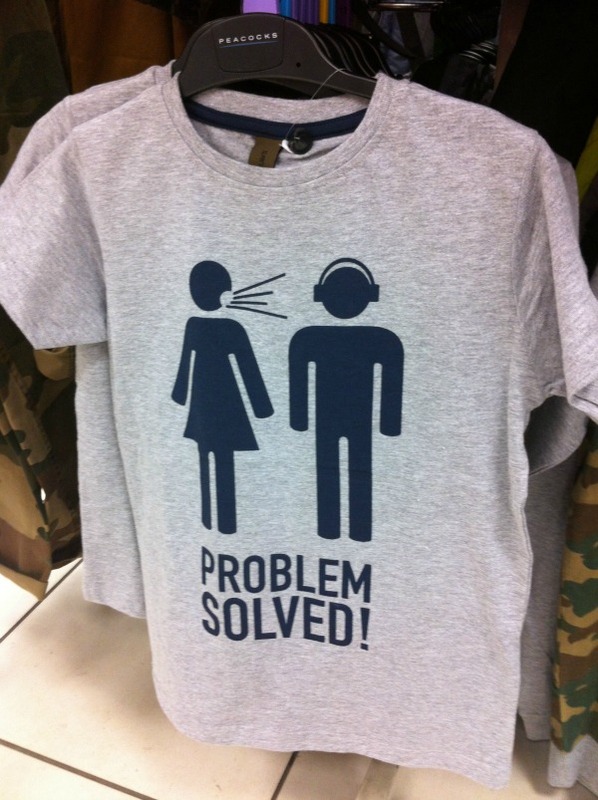 Did nobody at Peacocks ever say – Hang on, this T shirt is very sexist, let’s not sell it. These are major corporations, how does something like this get past so many people? Is it that employees feel too disempowered and fearful for their jobs that they don’t want to speak out? Is it plain and simple ignorance? Did somebody express an opinion but get ignored (possibly by a bloke in headphones)? 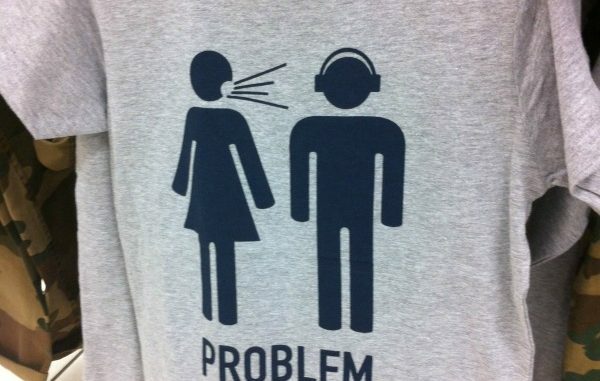 And I am going to advise my son that the next time he hears a woman giving her opinion, the ‘solution’ isn’t to bung on your headphones. This situation doesn’t need a solution because it’s not a problem. We listen, we engage, we take on board other people’s opinions, and between us we communicate enough to make the world move forwards, not back.